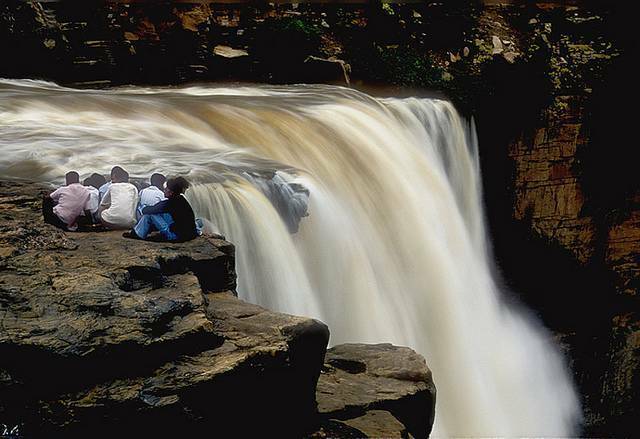 Located in Gokak of Belgaum District, Gokak waterfall is located in the Ghataprabha River. After reaching Gokak travel another six kilometers to reach the waterfall. But you hear the soaring water, falling into the deep gorge from a height of 171 feet and it is a much fascinating feature of the Gokak Waterfall. This horse shoe shaped waterfall look alike Niagara Waterfall. Nearby the Gokak Waterfall you can see historical monuments and a Lord Mahalingeshwara Temple which dates back to Chalukya Dynasty.